A supportive environment to begin or deepen your yoga practice. We help you discover the seed of yoga. That which not only encompasses asana practice (physical postures) as well as philosophy, breathing and meditation techniques to help you recognize the ease and peace of your true nature. And whilst this just a seed carefully planted in your heart over your time spent here, we hope it can only grown and blossom to bare the fruits of mindfulness, health and peace in your daily life. All classes are taught in English with experienced international certified Yoga Alliance. Actions are also intentions you put out in the world, how you go about manifesting them and their power to make an impact on your life and others around you. 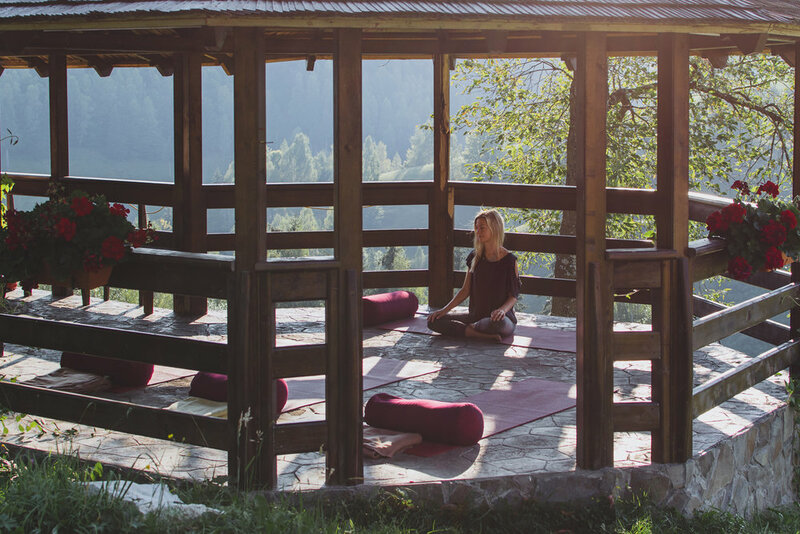 Our yoga unique retreats are designed with balance in mind so you have plenty of time for your yoga practice, spa treatments, massages, walks in nature, workshops & much needed rest. Free pick up shuttle from Brasov to Akasha. Arrival & Registration, Retreat Tour & Snacks on arrival. An evening Yoga and Meditation practice to ease you in retreat mode, release traveling aches and soothe the mind. A dynamic flow to energise & awaken, working through the whole body and finishing with a relaxing savasana or guided meditation. An evening slow flow based on Yin/Restorative styles, moving slowly through asanas to enhance and build on the work done in the yoga morning practice. Varied every night from Hot Tub Night, Movie Night, Live Music Night or Hang Out Time. Experience sharing, hugs & group photo. On occasion we publish weekend yoga retreats for 4 or 7 Days that follow the same program as above with the only difference being the length of full retreat days.